Skype allows customers to call your business from anywhere in the world at no cost to you. With Skype Announcement, you can tell your customers everything they need to know about your business creatively and instantaneously. It is easy! Simply contact Equiinet for your free Skype registration. 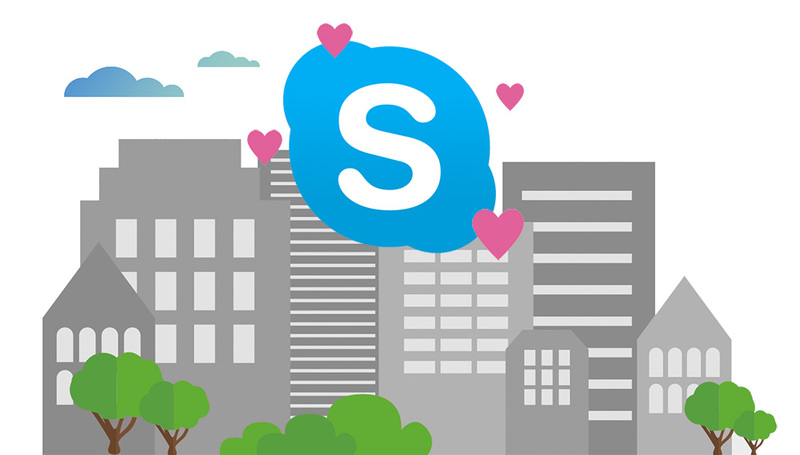 We can add your company’s logo to your profile where you can join the more than 33,000 businesses who love Skype! Get creative by using multiple voices to give your greeting a personal touch. Take the time to tell customers everything they need to know about your business with 8 minutes per message. Change your message as often as every day to keep customers up-to- date about specials and events. All of this and more comes with Live Voice’s HD quality audio—no more garbled messages! 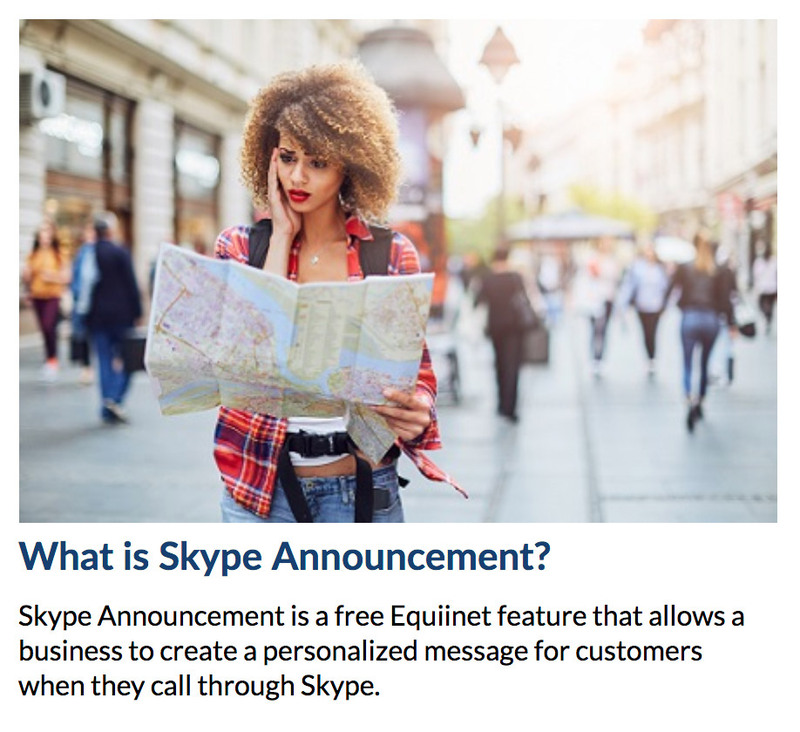 With Equiinet’s turnkey process, you can sit back and let us do the work while you come up with the perfect Skype Announcement for your business. We can’t wait to help you grow! Trademark disclaimer: Skype is a trademarks or other intellectual property of the Microsoft group of companies and Equiinet is not affiliated, sponsored, authorized, or otherwise associated with or by the Microsoft group of companies.